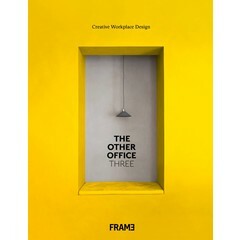 A research-based book about the relationship between the physical design of working environments and levels of creativity and innovation. The conversation around the impact of the physical environment on workplace behavior has grown over the past few years. This has been aided by the changing nature of the way we work and the increasing importance of creativity in many industries. Spaces for Innovation explains the relationship between the physical design of working environments and levels of creativity and innovation. Based on the available evidence, Spaces for Innovation identifies the physical characteristics of workspaces that are associated with high innovation potential and determine why they have an effect. 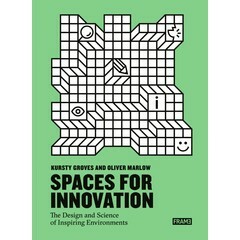 A basic framework for the design of innovative environments, a ‘pattern language’ and a practical tool in this book, can be used in analysing ways to enhance physical space in the pursuit of innovation. The book acts as a pattern guide, providing context, examples, inspiration and direction to help businesses explore and understand organisational challenges. Kursty Groves is a design and innovation consultant and workplace strategy advisor to industry on innovation, capability and environments. She is an author of I Wish I Worked There! and an internationally-recognised voice on topics surrounding work, people and change. Oliver Marlow is an author and designer with expertise in space, co-design and collaboration. He is a pioneer of the coworking movement and the creative director of Studio Tilt, a co-design practice enabling space to create experience, community and itendity. Spaces for Innovation: get the low-down from the designers of our thought-provoking new book!